It is very important to know the behavior and interest of each email subscriber in order to send personalized email campaigns. So you can tag your email subscribers who actively open the emails. 1. To tag an email subscriber based on email opens, first create an email list and go to the “Lists” option. 2. 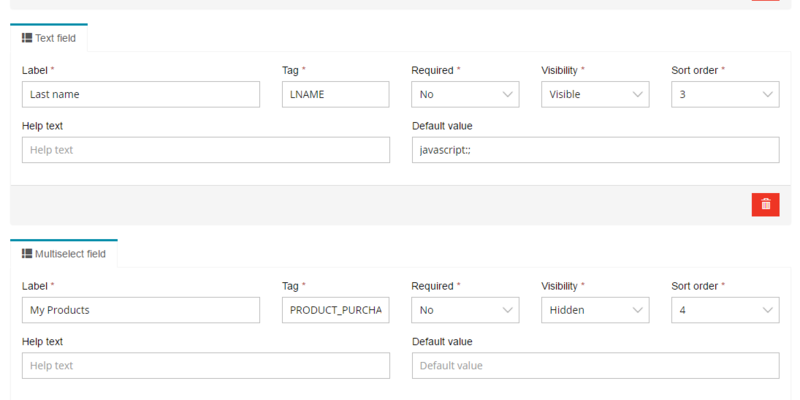 Select a List and click on “Custom Field” option, create a new custom field of your choice, under which you want to tag / segment a subscriber upon email open for the same email list. 3. Now you can start creating a new email campaign for the email, for this, click on “Create New Campaign” option from the left side of the screen, select a regular / autoresponder campaign. 4. On next screen, click “Add field/value“ button under “Change subscriber Custom Field Value Upon Campaign Open” field. 5. Inside this option, select “Field” from a drop down menu which you defined in your email list in step 2, then select “Field Value” from the option which will be tagged / updated to the email subscriber upon email campaign open. 6. Finally, save and go to next step of email template creation and sending an email campaign. Result: Once you have sent this email campaign, then the subscribers who opened this email campaign will be tagged with the defined “Field Value” from above setup. Note: “Change subscriber Custom Field Value Upon Campaign Open” will not show up during the creation of an email campaign if you have not defined any new custom field in respect email list on which you are planning to send an email campaign.